In the target villages of Kodaikanal, Dindigul Dist, Tamil Nadu, the inhabitants of tribal community are living in a pathetic situation. They live remote and hilly areas. Basic amenities are prohibited to the people live in remote and backward areas. Because of lack education the parents sent their children to collect products than education for their daily bread. So the children especially girls are suffering more in all respects that is on the ground of education, socio, health and sanitation etc. This situation is worse among Paliyar living in the Palani hills. Almost all the settlements do not have access to primary, secondary or higher secondary education. Few families send their children to stay in hostels and study. Most children attend some form of school but start to dropout after 5th standard. More than 90 percent of children are dropped out by the time they reach higher secondary level. 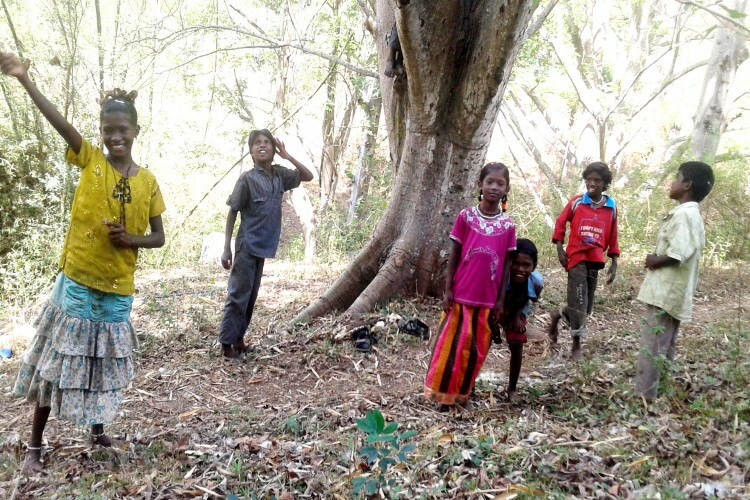 Majority of the tribals in Palani hills live below poverty line. With most of their lifelines severed, they have to depend on seasonal jobs in the plantations. Permanently indebted to money lenders and Middlemen they do not have the freedom to choose means of better employment. Severely restricted, a tribal family need to engage all heads in the family including children to work to make ends meet. Indigenous tribals of Palani hills suffer from several infections and water borne diseases. Since most of the communities do not have access to clean water, they have to dependent on streams and rivers that are polluted by pesticides, human excrete and domestic sewage. It’s absolutely normal for a tribal hamlet to lose 2-5 children every once a while because of illness caused due to drinking contaminated water. They treat these deaths as curse and most of these deaths often go unreported. 99 percent of the children under the age of 5 are malnourished. Neonatal mortality and morbidity is very high among the paliyar and puzliyar tribe in Palani hills. Lack of access to medical facilities, poor diet, and vulnerability to infection because of poor nutrition is very common among tribal children. Since most births are not recorded, it is difficult to find exact no of children under 5 dead due to infections at any given time. However in 2014. 6 children died in the span of 40 day due to water contamination in one tribal hamlet giving us a brief insight into the ground reality on health nutrition and sanitation in the hamlets. Malnourished children are unable to compete with other in school and generally fall back, loose interest in education and dropout of schools at early stage of education. Generation upon generation of the adivassi community is been subjected marginalization, abuse and exploitation. The adivassi allow themselves to subject to abuse and exploitation because of their own acceptance of inferiority. Tribals, because of illiteracy, ignorance, lack of knowledge of their rights, their legal status, isolation and social status consider themselves as inferiors and believe that they are helpless. Your share could be as good as a donation for Child Voice! Not everyone can afford to take care of their loved ones. Child Voice's life can only be saved by donations made by kind people like you.